Dillingers in Greenbelt Makati has actually gained some popularity from the foodie and yuppie scene in Manila for quite some time already, with everyone raving about its sophisticated ambiance and authentic buffalo wings. But other than that, no one else has made a compelling reason to merit a visit. Then recently, one tip about how it has value for money rib eye steak and single malt whisky selection seeped through the cloud of food news. That was all that was needed to schedule a night out. And who best to schedule it than with the same people that tipped off the secret Krung Thai in Marikina and Poco Deli of Kapitolyo. Entering Dillingers, a nostalgic old American bar like vibe fills the air. It’s like Blind Pig in Salcedo, Makati, but this time accompanied with the latest in dance and top 40 music instead of 1920’s prohibition tunes. This is to the delight of the said target market of Manila, with the country experiencing a renewed economic boom at this time of writing. It’s nice too that Dillinger’s segregated their smoking area, although anyone can see how the smoke will inevitably overwhelm the whole restaurant once it gets packed. 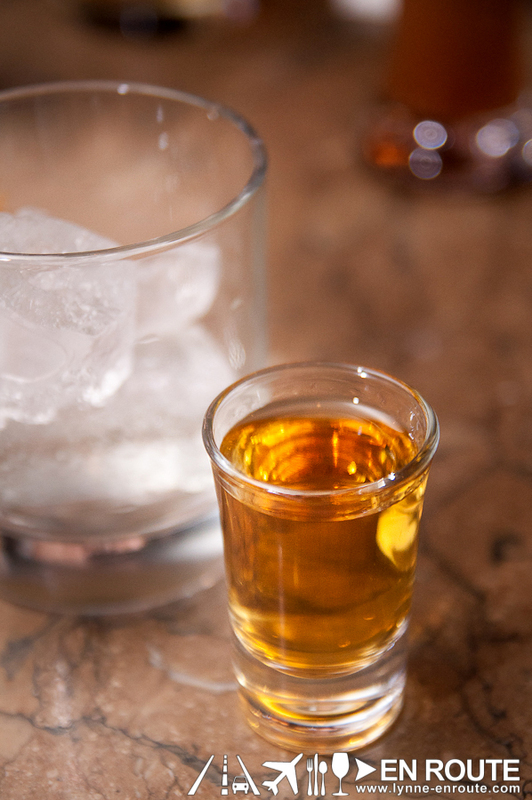 To begin the night, it is hard to beat a good glass of whisky to melt your troubles away. While there are the run of the mill popularly marketed brands like Johnny Walker or Chivas Regal (they’re classified as blended whisky), the single-malt whiskey market is where you can find some of the more tasteful variants of the distilled spirit. Tip: To gain a greater appreciation as to how various whiskys taste, ask that it be served in a shot glass so that you can take a sip before pouring it all into an ice filled glass. This way, you can try out how it tastes when it is served neat (just plain with no addition). This particular one is a Laphroaig (pronounced “la froyg”) single malt whisky. It has a very pronounced smoky flavor with hints of prunes. It still has a nasty sting, especially for those who are not used to drinking whisky, but it is more mellow. Something about single malt whisky makers seem to give more TLC to make a finely crafted product worthy of your hard earned money. 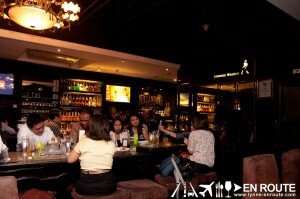 It is quite pricey at PHP 490.00 per shot. Apparently, though, these come out still relatively cheap compared to other watering holes. 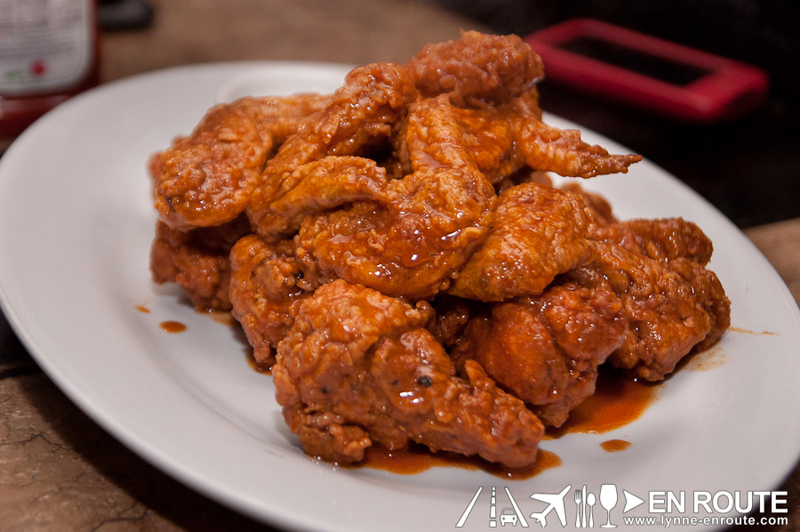 Foodies have been raving about Dillinger’s Buffalo Wings (PHP 455.00 for 18 pieces). First bite, its delectably crunchy breading greets your teeth. Afterwards, the vinegar-like sourness mingles with its hot-sauce spice, then invades your taste buds. Dillinger’s Buffalo Wings keels close to the original recipe of buffalo wings, unlike the tweaked ones that may be found in some Metro manila restaurants that have a hint of honey and soy sauce that’s friendlier to the Filipino palate. Given its more spicy-sour nature, this will be more for the discerning buffalo wings chomper. You will want this accompanied by some crisp tasting beer. People may see Dillinger’s as a joint for beers and finger foods, but one thing that can be filling here are their steaks. 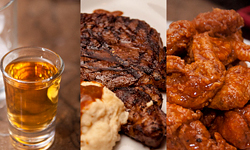 Dillinger’s has this 400g Angus Ribeye Steak with a choice of sides for PHP 695.00. Don’t expect ultra tasty and soft steak that you may find in Elbert’s Steak Room in Makati, or in Red of Makati Shangri-La. This may be angus, but it is USDA Select grade (as compared to the more premium label USDA Prime). It is still bang for the buck, though. 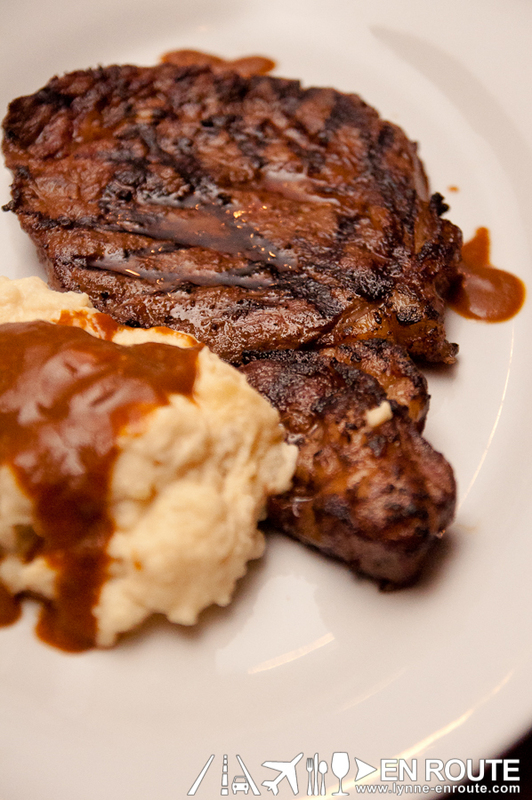 The steak sauce that comes with it, though, will gain fans of is own. In this picture, it was just smothered all over the side of mashed potatoes. In high spirited, good-times environment of Dillinger’s Greenbelt Makati, What you will want would be to have tasty, value-for-money wares accompanied by friends with the same passion for tasting what life has to offer. 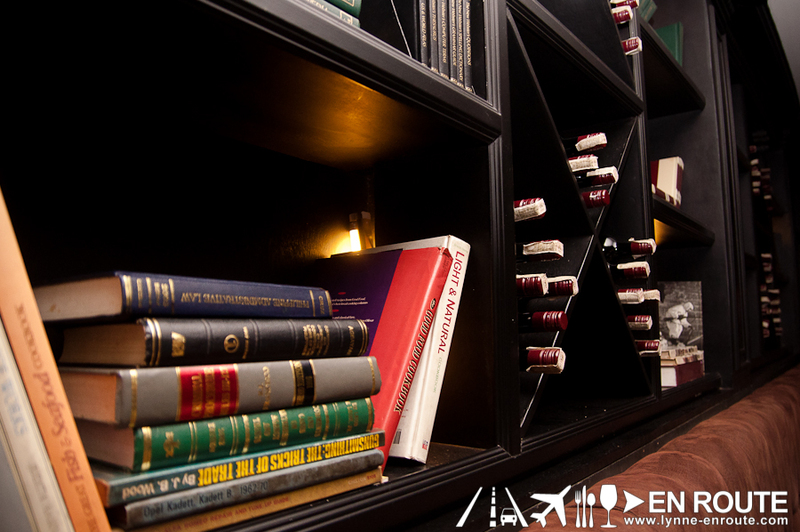 DETOUR: Interestingly, there is an exclusive lounge that his hidden right inside Dillinger’s for those more sophisticated, no-care pricey nights. Time to search for this inside Dillinger’s. I might go back for lunch, but for dinner: NEVER!!!!! You guys got it great in New Zealand. The stories that I have heard about how living conditions are and the freshness of the food is really inviting!